People come and go, but I stand by a statement, "internet + anonymous = douchebag" I really try not to be a troll on forums. My definition of a troll is someone who argues no matter what position you have on the issue. Trolls are common because they get away with being trolls under anonymous means and the policies are not condemning enough for just verbal vomit, because a smart troll never says anything too offensive. The best way to handle a troll is not to feed one. There are so many different Pagans there questions are bound to be answered in many different ways. Let's just take the basic question discussion of I'm New to Wicca. Within a few posts the discussion has brought up solitary vs initiated Wicca. I'm in the camp where you don't need to join a coven to be a Wiccan. 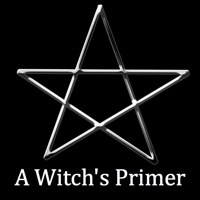 You can practice, study and learn all on your own, creating a personal version of Wicca. I'm no saying I'm the best Wiccan ever, but I do follow most of the practices, even if I don't agree with the complete Wiccan rede. Personally, I haven't found a coven I really like, although I'm considering joining the Firefly Academy to help encourage my studies and become apart of a larger group. Brook the iPod Witch recommends them, and she doesn't have time or money, so I think they would be a good choice for a hard working nanny/student like myself. With just this one discussion there are many different opinions, trolls and values being posted. This well rounded view is why I like Paganspace. 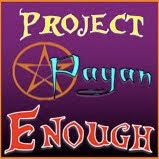 I did join another Pagan social site, The Pagan Veil, but I haven't found it as fast paced or responsive. I strongly support discussion between different faiths and I think Paganspace is one place to start. You have a profile on paganspace? Drop me a line.